The competition that invests $100k in the best-emerging tech startups has returned. If this sounds like you, or someone you know, we encourage you to apply. We are looking for the best in early-stage companies, and even welcome them in the idea stage. The Atlanta Startup Battle gives meaningful experiences to its finalists. The TOP TEN applicants receive a full day of hands-on mentorship from experts in UX, go-to-market strategy, brand refinement, and engineering. We announce the winner on the roof amidst the midtown skyline and celebrate one of Atlanta’s future technology leaders with drinks and music. If you think you have what it takes, start your application today! The mission of the Atlanta Startup Battle is to identify the city's top early stage technology startups and invest in their continued success. 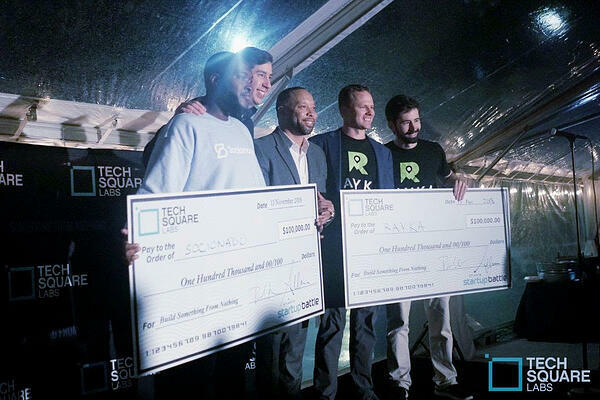 More than just an award or money, Atlanta Startup Battle provides Atlanta's top technology startups a structured way to access mentors and active investors. The competition is designed to help startups gain investment at the ground level, so from filling out the application to pitching on stage in front of VC judges, real investors are reviewing your companies and ideas.